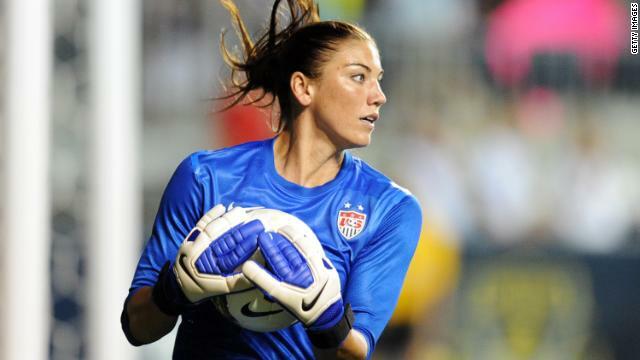 Hope Solo will appear in court Monday after police said she assaulted her sister and nephew. John Kerry visits Iraq as the country gets pummeled by militants. Soccer star Hope Solo heads to court after cops say she attacked her sister and nephew. And a Louisiana company is offering a cold summer treat made from pickle juice. Dicey situation: If you think your Monday is stressful, at least you're not John Kerry. The secretary of state landed in Baghdad today to try to help with Iraq's problem of losing swaths of the country to radical militants. But even President Obama said there's only so much the U.S. can do. If Iraq's not willing to help resolve sectarian strife, "there's no amount of American firepower that's going to be able to hold the country together." Baby steps: Army Sgt. Bowe Bergdahl is no longer a patient at Brooke Army Medical Center in Texas. He's been moved to an outpatient facility where his slow reintegration process continues. Previous captives have completed their program within 10 days. But authorities are taking it slow with Bergdahl, who was held captive by the Taliban for five years. Red carded: Hope Solo, soccer star and controversy magnet, will face a judge today after she was hauled off to jail over the weekend on domestic violence assault charges. Police said she attacked her sister and her 17-year-old nephew. She appeared “intoxicated,” cops said. We are aware of the situation with Hope and are now gathering information. We do not have any additional information to share at this time. Never give up: Australia says it’ll announce a new search area this week in the hunt for the missing Malaysia Airlines Flight 370. A re-examination of data could shift the search area hundreds of kilometers south. Another development over the weekend: London’s Sunday Times said the plane’s pilot is the primary suspect. But Malaysian authorities say that's not true. Thisclose: If you happened to be the one person in the U.S. who didn’t watch the Americans take on Portugal, here’s how it went down: Portugal led, and the U.S. tied. Then the U.S. led and we were feeling pretty good about it. All the team had to do was NOT. GIVE. UP. THE. BALL. But with just 27 seconds to go, Portugal bounced back with an equalizer. That's a dilly of a pickle: Surely we're not the only ones who love to drink the juice at the bottom of the pickle jar. Nope! A Louisiana frozen treat stand now specializes in pickle juice sno-balls. What else would you want on a hot summer day? Thank you for alerting us to this error. We have made the corrections. I like quality over quantity in terms of stories. Maybe the editor and writers should not rely too heavily on a spell checker and instead actually review each others work. In headline #2 there is a word spelled incorrectly. Army Sgt. Bowe Bergdahl is no longer a patent at Brooke Army Medical Center in Texas. We have made the correction and appreciate your alerting us to the error. "Now Team USA absolutely has to win or draw against Germany to stay alive." The cat welcoming the soldier home is too precious!!!!!!!! Something that makes me say hmm?Does a complementary gallon of water come with the pickle sno-ball? No, the U.S can still advance even if we lose to Germany. Who is the research person here?